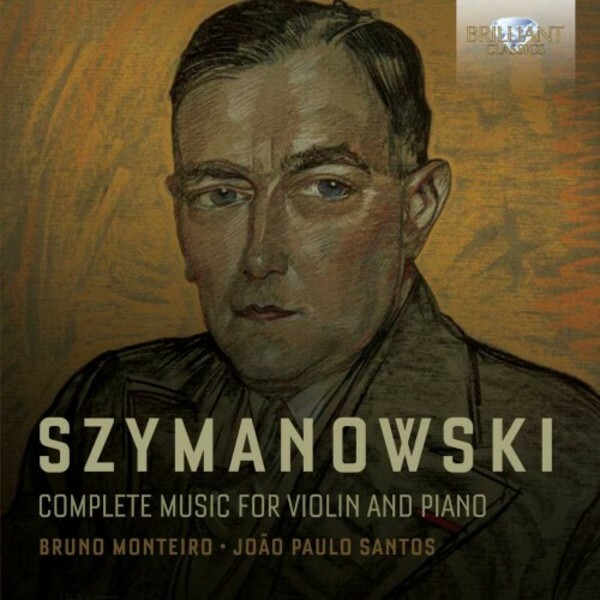 Karol Szymanowski (1882‐1937) was one of Poland’s most important and original composers. His style is eclectic - standing in the long romantic tradition, he imbued his works with exoticisms, impressionistic flourishes and a general sense of freedom and imagination. The works for violin and piano were created for the famous Polish violinist Paul Kochanski. The most important works are the substantial Second Violin Sonata and the cycle Myths, both appearing regularly on concert programmes nowadays. These are beautiful performances, with a keen sense for colour and atmosphere, by Bruno Monteiro, one of Portugal’s foremost violinists, and pianist João Paulo Santos.